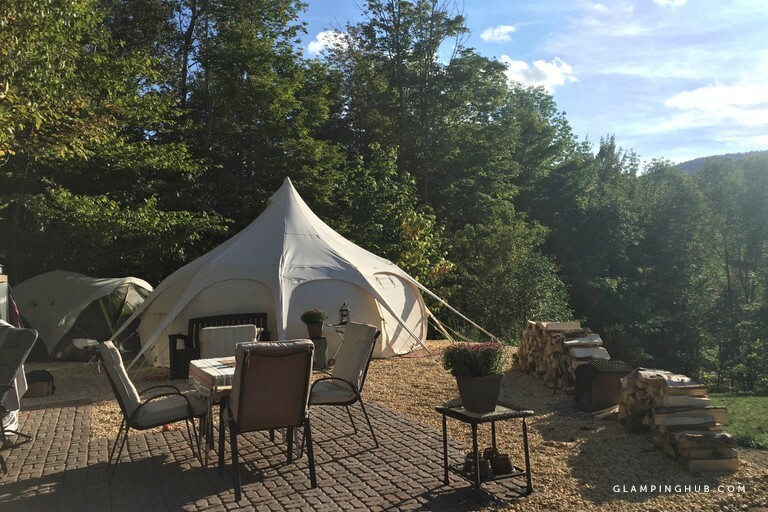 This charming luxury tent rental in the Adirondack Mountains can easily accommodate up to six guests. 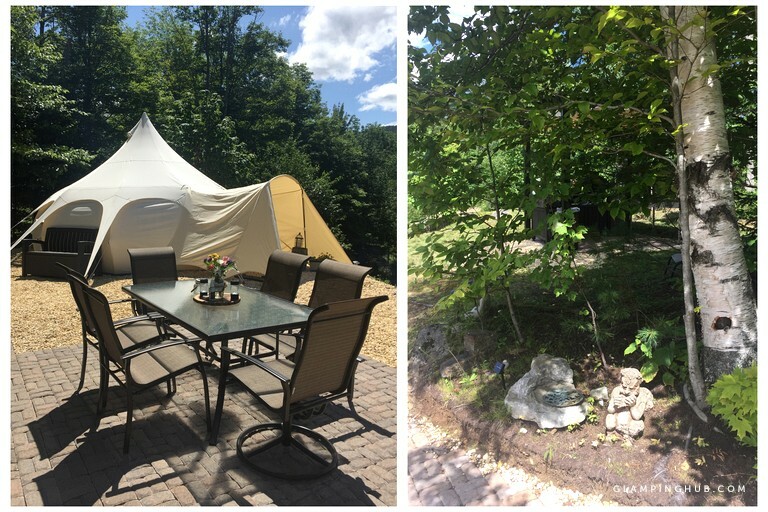 It consists of a private compound with a 16-foot Lotus bell tent that has a canopy entrance, two fire pits, a stone paver patio, fully stocked outdoor kitchen, a half-bath house, refreshing hot water outdoor shower (don't worry, it's private! 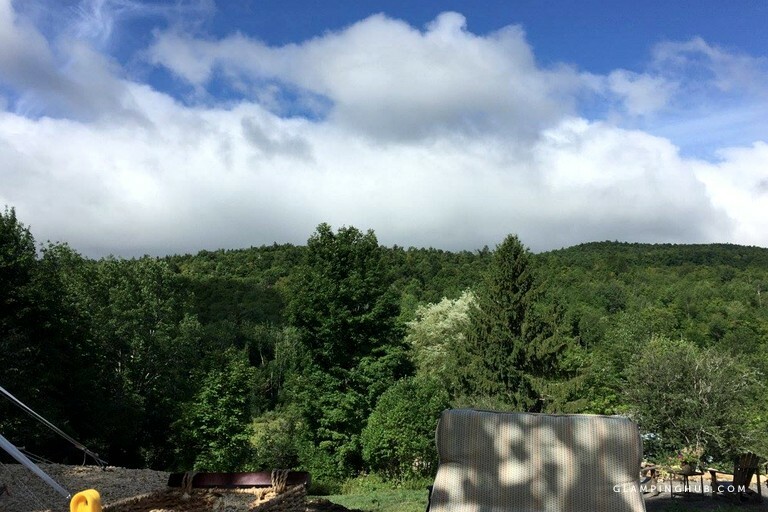 ), and a utility house—all overlooking a breathtaking western vista. 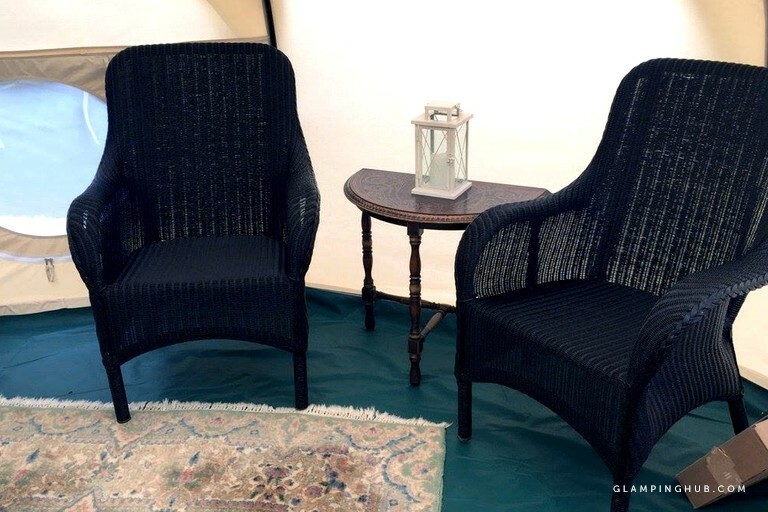 Two to three guests comfortably fit into the gorgeous Lotus bell tent, two in the accessory tent, and the hosts allow for guests to bring their tent(s) and set up on the property. 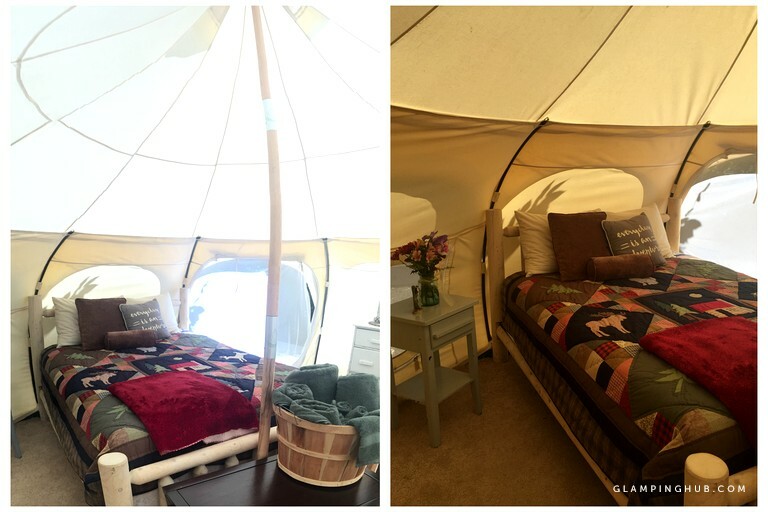 Forget just a tent! 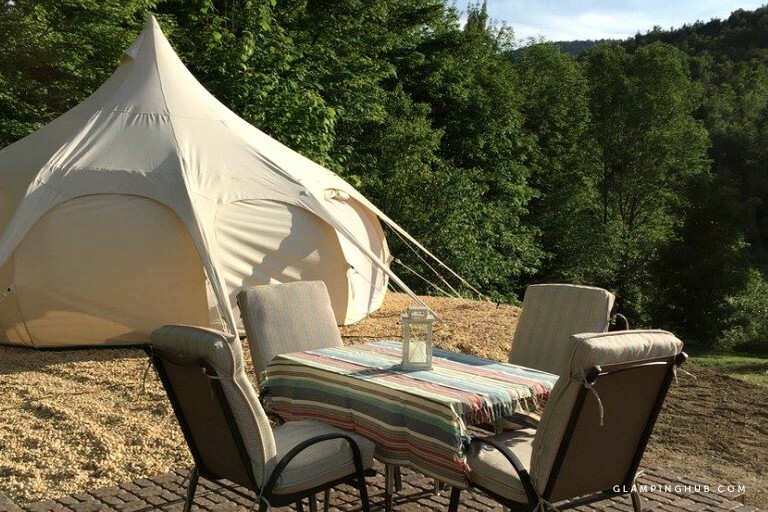 This property is a compound all guests' own featuring a Lotus Belle specialty tent from New Zealand, two patios, private half-bath house, and an outdoor hot-water shower, all completed with privacy and a glorious view. 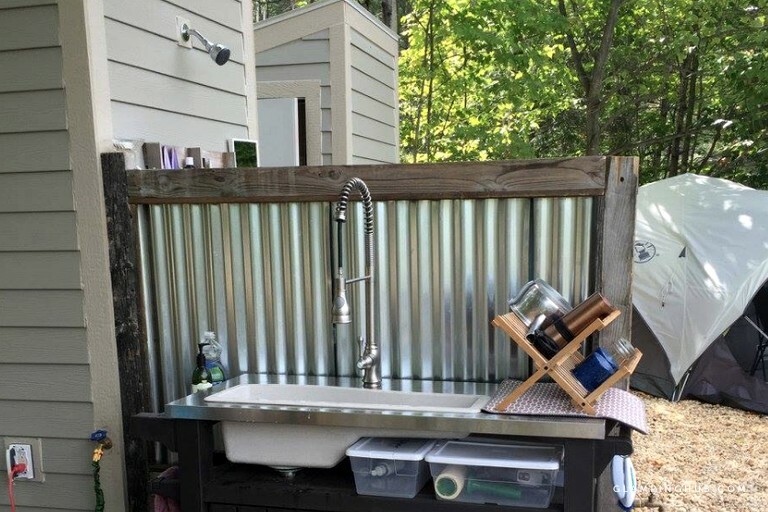 Across from the half-bath house, the utility shed houses a refrigerator, charging station for your electronic devices, and storage. 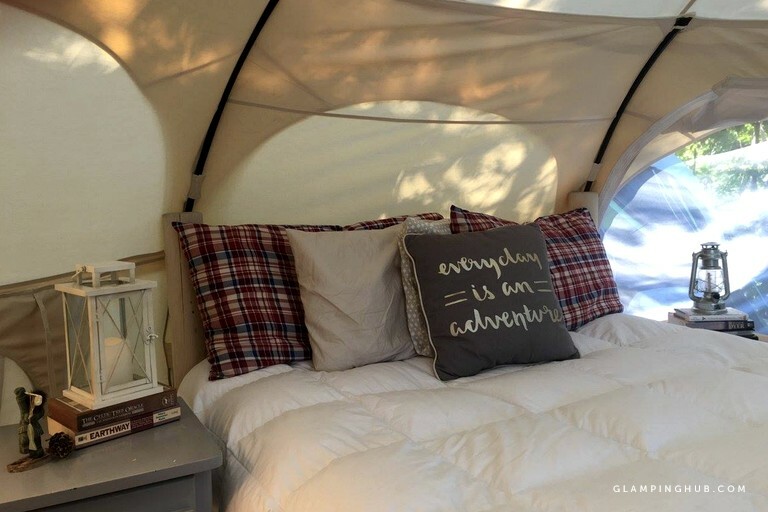 Outside, guests will also find a fully equipped outdoor canopy kitchen with a two-burner stove, Weber gas grill, stainless steel counters, and a utility sink. 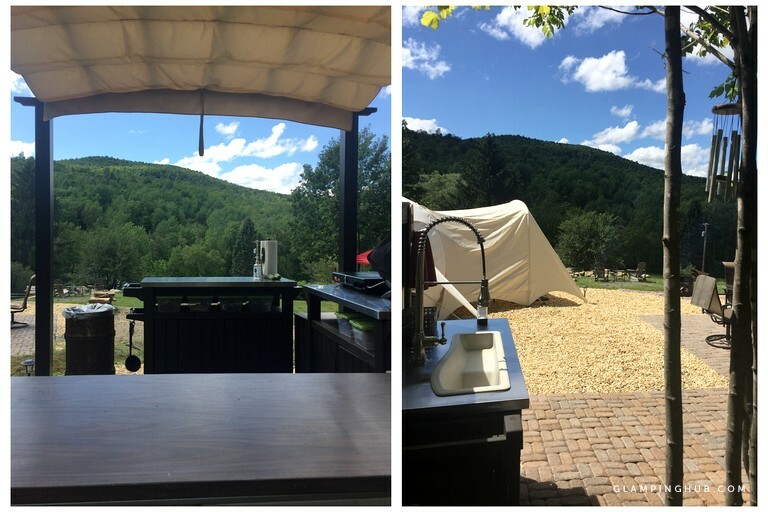 On the upper patio, enjoy a fire pit to roast marshmallows under the pristine skies of Upstate New York. 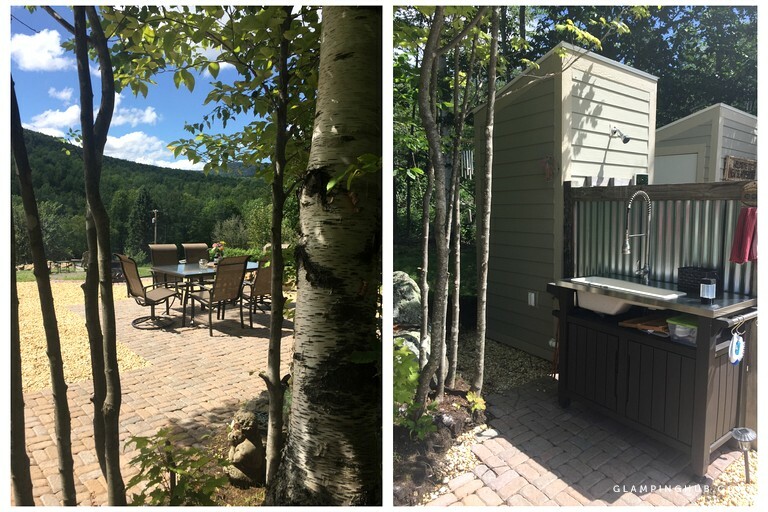 Just 30 feet below, enjoy a second fire pit that can host a large crowd. 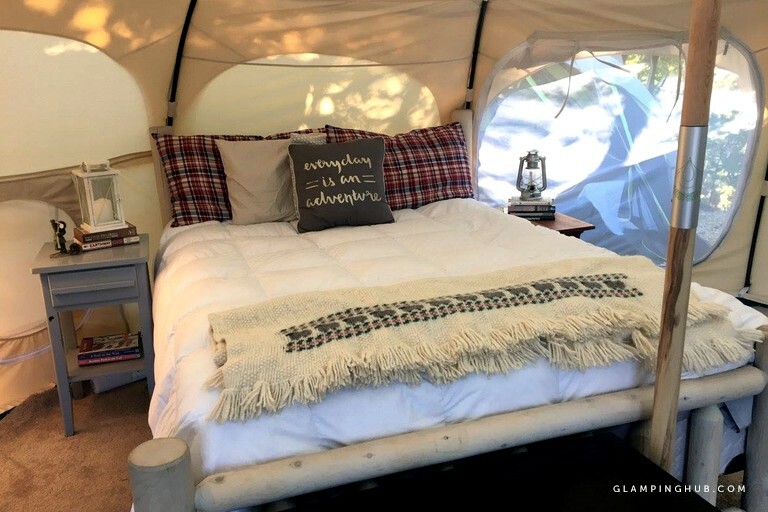 Glamping at this property is a nature lover's dream! 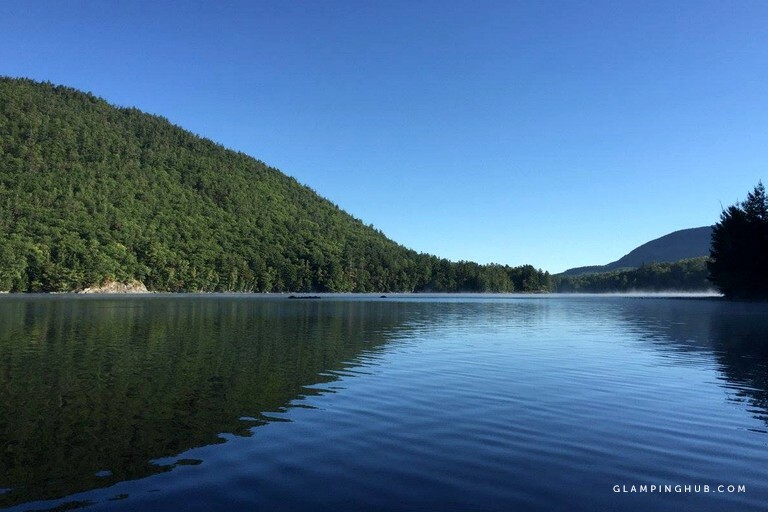 From dazzling views of the Adirondack Mountains to serene nights under the stars, guests here will be thoroughly impressed. 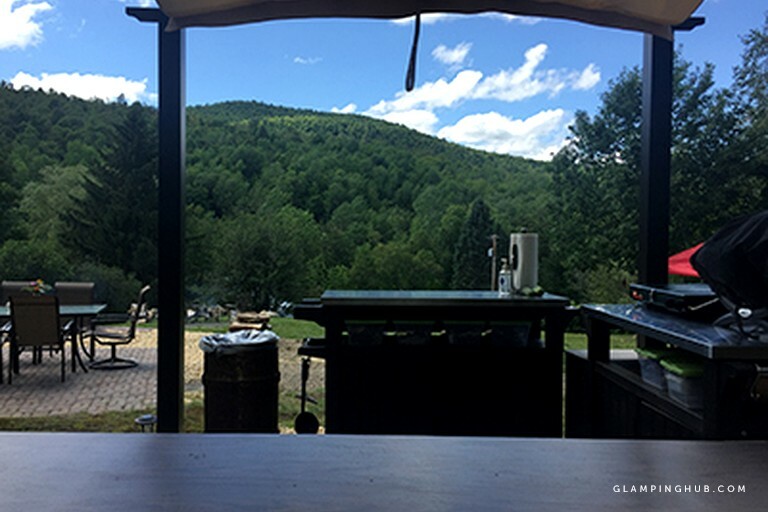 Glampers can take an early morning walk up to the promontory which features views of Gore Mountain and the High Peaks. 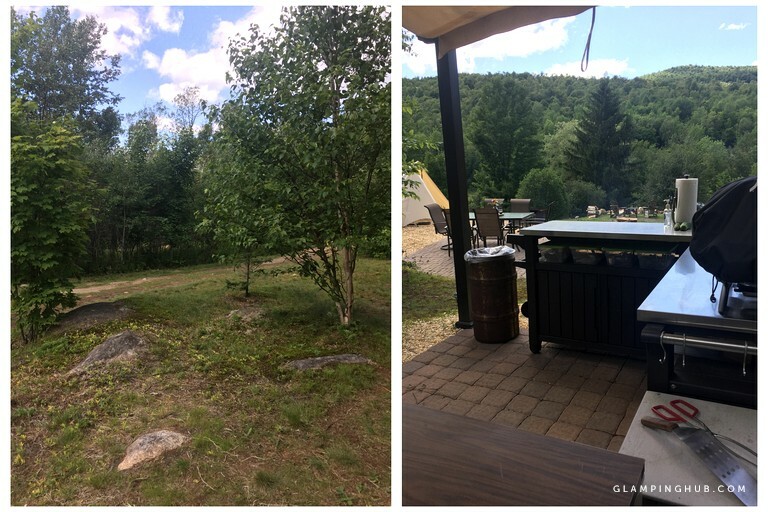 The patio fire pit is perfect for roasting marshmallows with loved ones or for curling up with a favorite book and listening to the sounds of nature. 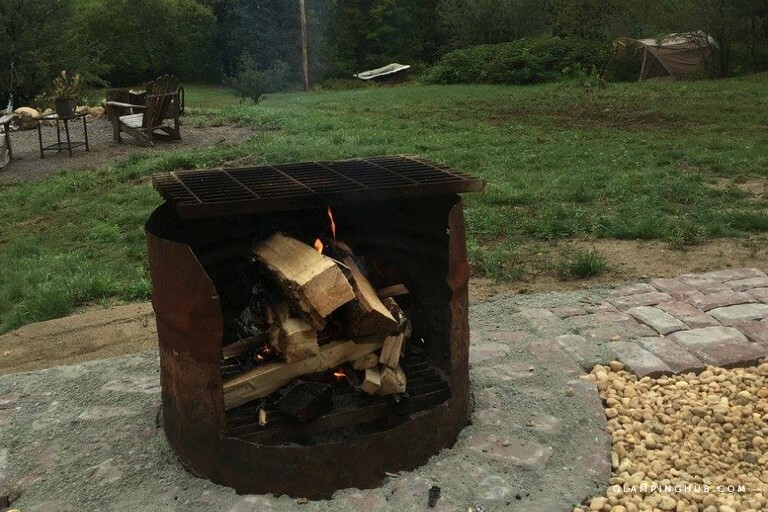 A second larger fire pit is just 30 feet down the hill. 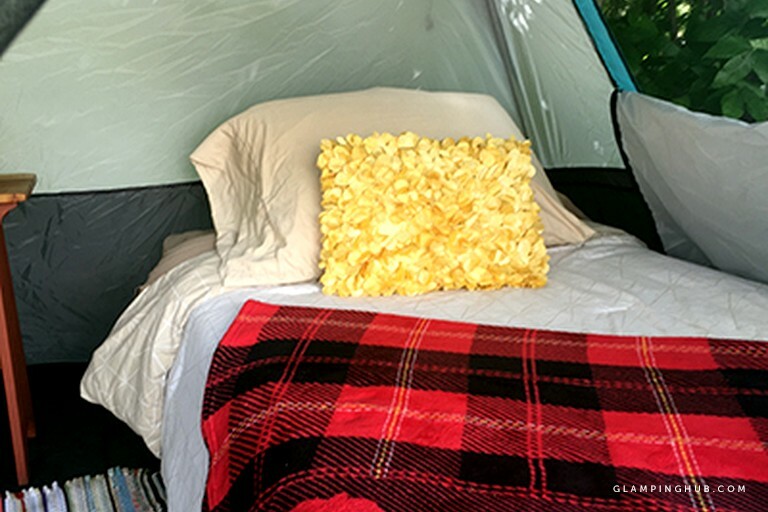 Guests will enjoy the use of the property's canoe and two kayaks for nearby lakes included in the price of guests' stay. 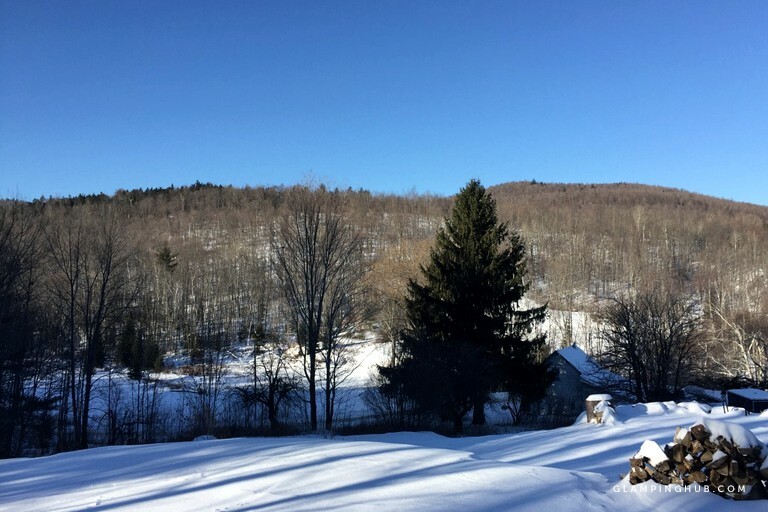 This property is also the perfect place for those seeking drawing, painting, or photography inspiration. 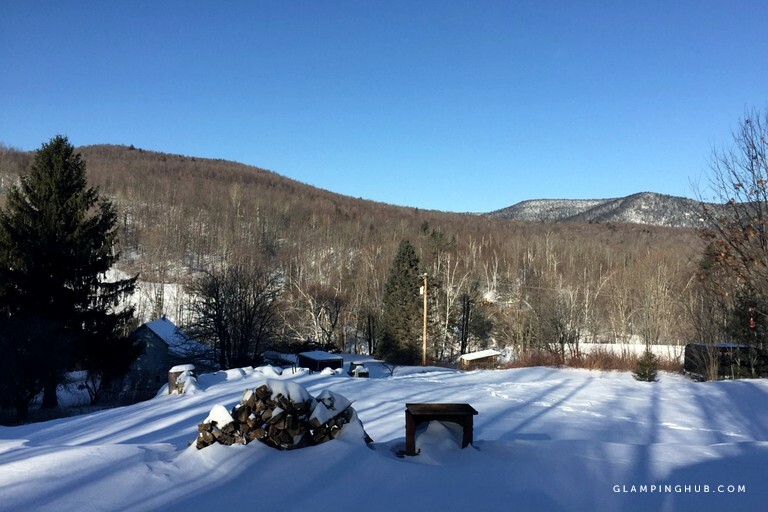 Whether guests prefer hiking, mountain biking, canoeing or swimming, skiing or snowboarding, or exploring and shopping, they will find endless opportunities for their favorite outdoor activity near this property. There is a 20% discount for weekly rentals! 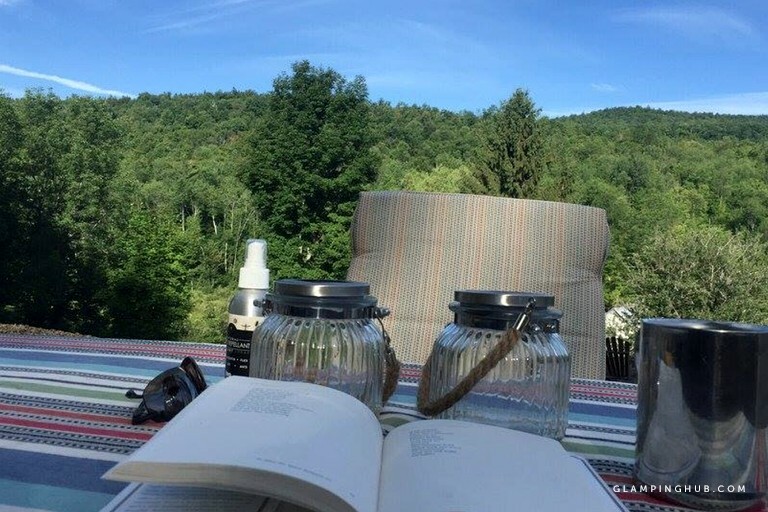 One night stays may be considered at a slightly higher nightly rate of $299, if interested, please submit an offer for two nights and write in the messaging thread that you would like to stay one night. There is a utility shed that is lockable to stash valuables and has a charging station with an AT&T Wi-Fi hotspot. Both fire pits are stocked daily with split and dry wood. Children under the age of 12 are free so please contact the host to arrange this. 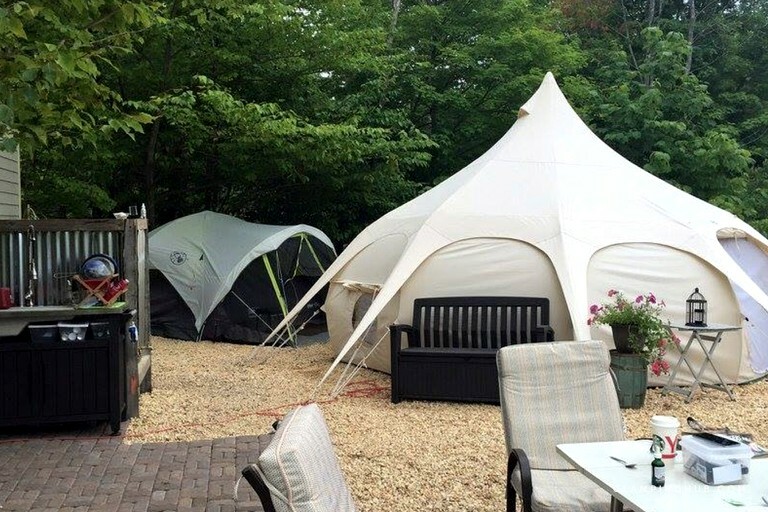 When guests book the main accommodation, they are welcome to bring more guests and pitch tents outside. 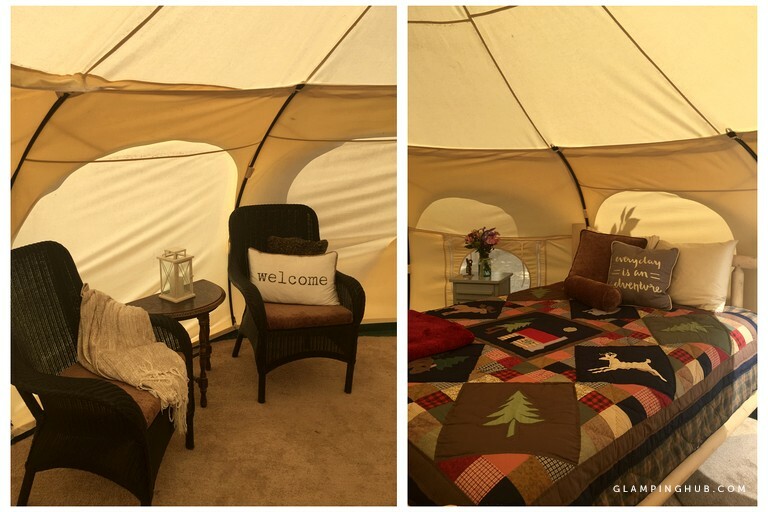 There is space for two tents, and the rate is 25 dollars per guests after the first three.